What if Walt was satisfied with Disneyland? This aerial shot from 1955 shows Disneyland when it just opened. July 18, 1955. Disneyland opens to the general public, and the crowd goes wild over the creation of Walt Disney — an interactive theme park where children and parents can both enjoy rides together. A park where parents don’t just wait for their kid to get off the ride — a park where they can get on the ride too! Disneyland is born. 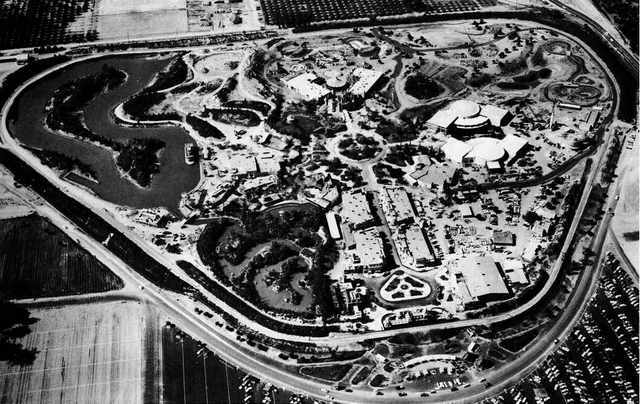 We all know that Disneyland in that day was restricted in space because the capital that Walt had to invest in the project was a lot less — so he wasn’t able to buy up so much property in Southern California as he was able to for the Florida Project. As a result, it wasn’t long before hotels, restaurants, and other travel and entertainment establishments started encroaching on the doorstep of Disneyland — which took away from some of the Magic that Walt was keen on his guests experiencing. What if Walt Disney was satisfied with Disneyland? Hypothetically, what if Walt had enough money to buy the equivalent of 39 square miles of land for Disneyland? What if the outside hotels, restaurants, traffic, I-5, and all of that did not encroach on the Guests experience at Disneyland? What if, as the story goes, Walt hadn’t seen a family leaving around 4-5PM, asked them why they were leaving, and found out that the reason they were leaving was because of the traffic on I-5? If none of that had happened, would Walt have moved on with the Florida Project and built Walt Disney World? I think I know the answer that some of you will say — of course Walt would still have built Disney World — corporate greed would have led him to do so! Others may say — well, if Walt thought Disneyland was exactly what he wanted it to be, he wouldn’t need to spend his money on Disney World. I have a different reason — I think Walt would still have moved on and built Disney World — but for a different reason than corporate greed. It is my belief that Walt would have still built Disney World, not because of greed, and not because of a need to plant a legacy, but rather, for the children of the nation and the world. It is my belief that Walt knew that there were hundreds of thousands of children and families that were unable to make it to Southern California to visit Disneyland, and he wanted to make a park where some of those kids would be able to get out and enjoy themselves just like the ones could at Disneyland. From that thought, I believe that Disney World was conceived. Of course, we will never know — all we have is speculation. However, it is my belief that Walt’s lasting legacy is, of course, in the parks, but not the parks themselves. Rather, the impact that those parks have had on millions — check that, billions — of people throughout the world. That’s what truly makes Walt Disney World, Disneyland, and all of the rest of the Disney parks such a treasure that spans the globe. What do you all think? Is my reasoning sound, or does it have as many holes as Swiss Cheese? Think about it, and please let me know in the comments! Thanks for visiting, now go out and make today and every day a great Disney Day! I’ve been in a bit of a nostalgic mood these past few days, and I found myself thinking more and more about Walt Disney. There are so many facets to who this man was, which I touched on in my tribute post from this past Sunday. He was a father, a husband, and an innovator. However, perhaps nothing sums up the joy for life that Walt Disney had more than this YouTube video that my wife Cindy found, when Walt was the “Mystery Guest” on the classic ’50s television show, “What’s My Line.” Have a look at this clip of about eight minutes, and laugh along with me as you enjoy the ways that Walt Disney works as hard as possible to keep the panel from figuring out who he really is. I loved this video, and I think that you will love it also! Thank you for joining us each and every day here on My Dreams of Disney! It is because of you that we have this site. Is there anything specific that you would like to see us focus on? If so, please leave us a note in the comments, and thanks everyone! Until next time, remember that here at My Dreams of Disney, it’s our goal to help you turn My Dreams of Disney into Your Dreams of Disney! Get Ready for our Disney Memories! 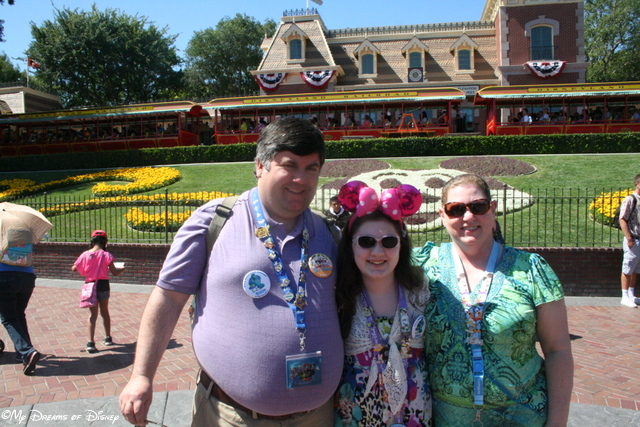 In one of my favorite Disney trips, here I am with my wife Cindy and daughter Sophie, loving every minute! Good morning everyone! Thank you for stopping by our site today on your quest for the ever elusive Disney Fix! I have some very exciting news — from my perspective, anyway — that I want to share with you! One of my favorite reasons why my family and I truly love to visit Walt Disney World and Disneyland is because of the incredible memories that we make with each and every trip. In fact, I would say that some of the best moments of my life have been shared with my family on our trips — and it seems like each and every year, we find one more lasting memory — and often more than one, I might add! — that truly makes our trips to Disney parks something special for us. As a result, I have decided that we are going to have a series — once a week — that will take a particular trip we’ve made, and share what our favorite Disney memories were from that trip. I’ll be sharing the perspective from my point of view, that of my wife Cindy, and also Sophie’s favorite memories for each post. In fact, since some of these trips have been made with family and friends as well, I’m going to see about getting their lasting memory from the trip to share with you as well! It dawned on me the other day when I was writing my tribute post for Walt Disney’s birthday that if Walt were still with us, he would probably love hearing the memories that people have created at his parks more than anything else, and that is what gave me the idea to write about our memories from each year. I hope you are as excited about this series as I am! Look for our first post tomorrow, Wednesday, December 11, and each Wednesday thereafter! Tomorrow’s post will be about a trip Cindy and I made way back in 2000! I’ll talk to you then! Until next time, though, go out and make it a Disney Day! 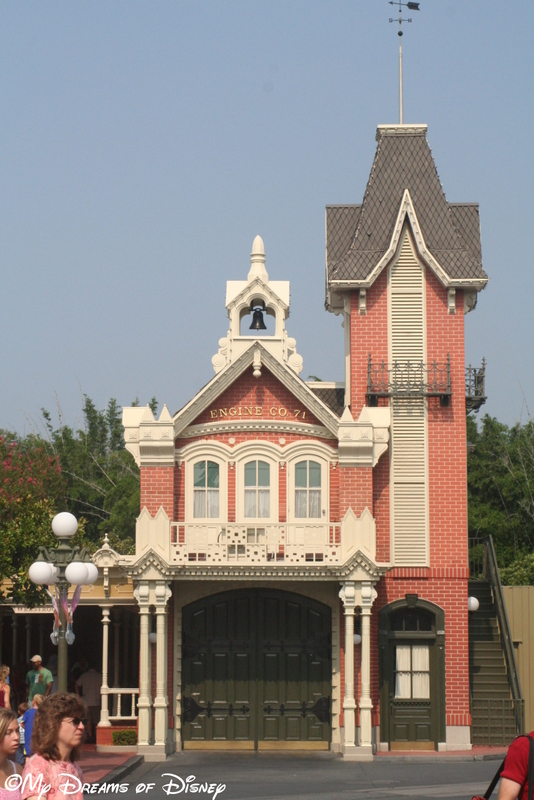 While this is the Walt Disney World Fire Station, not Disneyland, it is similar enough to work for this post. Justin from Los Angeles, CA, writes: “What is currently inside the space that was once Walt’s apartment above the Disneyland Fire Station? Mr. Smith replied: “Walt’s apartment above the Disneyland Fire Station is still there and is still used occasionally by Disney family members and Disneyland executives. It is still furnished similarly to the time when Walt used it. One major change — there used to be a fire pole from the apartment down into the fire station below that is no longer there. Mr. Smith’s book is chock full of great questions and answers that were asked of him during his time answering questions for the articles “Exploring the Archives”, “Archives”, and finally “Ask Dave” during his time with the Disney Channel Magazine, Disney Magazine later on, Disney Insider, and now the D23 website. I highly recommend this book to anyone that is a Disney trivia buff. You can link over to the book page on Amazon.com from the link above. Tiggerific Tuesday Trivia: Merry Christmas! 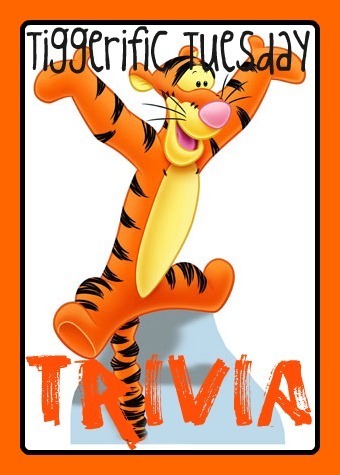 Tiggerific Tuesday Trivia - Test Track Trivia!